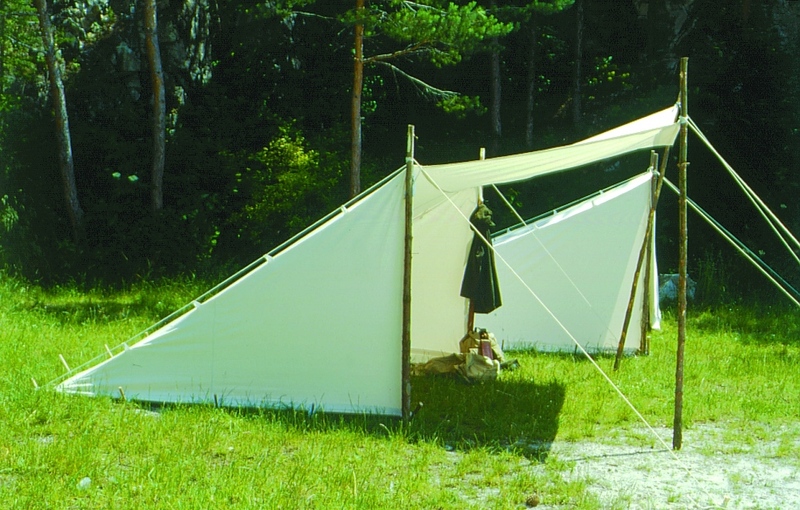 The FAM WEST TRAPPER and WILD WEST shelters are tents which were used by white hunters and trappers in America in the 19th century. Tried, tested and popular with trappers even today. The simple wooden construction is made on site. 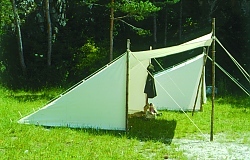 One can also set up the shelter without any wooden construction by stretching a rope between two trees (important when travelling by horse).